The Renton Food Co-Op has opted to engage in a local Buying Club as an interim step towards realizing our own dream of opening a storefront. We did this in the hopes that we would be able to reach out to more people who may be interested in helping open a food co-op and so far that is what has happened. Buying Clubs are comprised of individuals and families ordering collectively to achieve a bulk purchasing advantage. 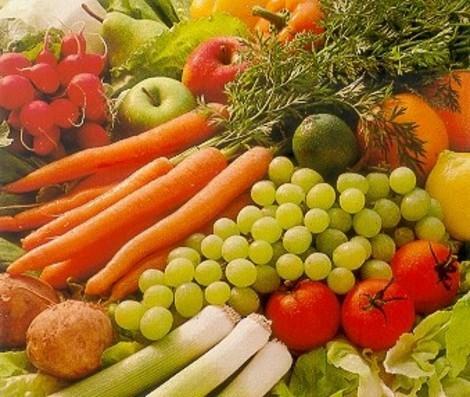 Aside from the time and devotion involved in the buying club process, there are many benefits to this arrangement not the least of which is access to high quality, wholesome foods at affordable prices. Beyond the monetary advantage, there is often a sense of community that belonging to an organization of like-minded people generates. Many buying clubs are comprised of neighbors, mother’s groups, co-workers, young couples, church members, or family members. If that sounds interesting to you then I wanted to let you know about some of the options that exist in the Renton area already. There are three stops in Renton currently. Two stops are active and are both located in the Renton Highlands neighborhood. The third stop is closer to the Cascade neighborhood, but they have a history of ordering less frequently than normal. The drops typically happen once a month on a Thursday ranging from 7-8:30 am in the morning. This means that you have to be available on that day and time to meet the truck to pick up your order, or you can talk with the drop site coordinator to make other arrangements for a later pick-up. The first drop is located at St. Matthew’s Church at 1700 Edmonds Ave NE Renton 98056 around 7 a.m. The drop site coordinator is Leya Stefanski and her e-mail is lrmerideth@yahoo.com You can contact her or sustainablerenton@gmail.com for more information on this drop. The next drop occurs around 8:30 am and is located in the East Renton Highlands neighborhood. 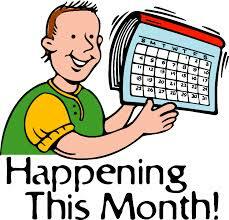 The next drop is Thursday June 12th, and the order cut-off time and date is June 9th by 4:00 pm. The drop site coordinator is Katherine Rausch and her e-mail is krausch@gmail.com You contact her for more information about this drop. Both of these drop sites are for Azure Standard which is a company out of Oregon. If you would like to look at their catalog on line and see what they have to offer you can visit www.azurestandard.com If you wanted to find out more about the drop in the Cascade neighborhood you would have to call Azure Standard at 971-200-8350. They are very friendly and helpful. Also, we have been coordinating with Blue Valley Meats located in Walla Walla, WA for a meat drop off. These drops happen every 3 to 4 weeks. The first one was right in front of the Sustainable Renton Office located in the Renton Highlands on Saturday, May 31st. If you would like to check out their product you can visit www.bluevalleymeats.com and make an order for our pick-up site. This company also offers Raw and grass fed Dairy products for delivery. The cut off for ordering is 4-5 days in advance of delivery depending on if it is dairy or meat. I hope this is all making sense, if for any reason you have any questions please contact sustainablerenton@gmail.com for more information. Posted on June 3, 2014 Author Sustainable RentonCategories Buying Club, Food Co-OpTags Buying Club, Food Co-op1 Comment on Renton Buying Club! Renton Food Co-op has a Logo! A big thank you to Kellin Holmes, a local Renton graphic designer, who volunteered his time and services to create the Renton Food Co-op’s brand new logo! This is one more positive step to help this project move forward. If you’d like to get in touch with Kellin for graphic design work, you can see his work over on his website. We are very grateful to Kellin for this beautiful image. Posted on October 16, 2013 Author Sustainable RentonCategories Food Co-OpTags Food Co-op1 Comment on Renton Food Co-op has a Logo! Now that Summer is passing, and Fall is approaching, Sustainable Renton is really kicking into high gear with the harvest season in full swing. We have a number of workshops, meetings, and events over the next couple of months that we’d love to share with you. We’ll be having our largest event ever this Sunday, September 15th-Harvest Mayhem. Read all about it and our many other events below. We look forward to welcoming you! All events listed are held either at our office or the community farm. 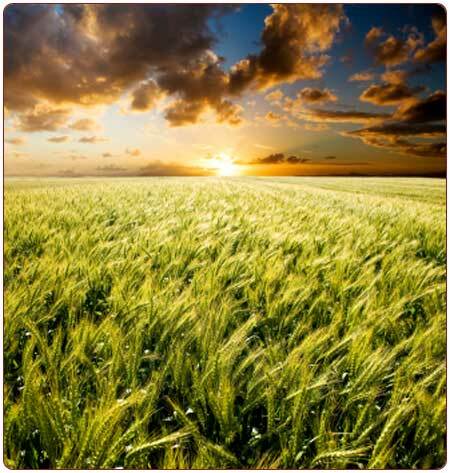 Sun, Sept 15 – Harvest Mayhem. Location: Community Farm. 4-7pm. This is a fundraiser and community potluck event, complete with gardeners and their beautiful friends and families. Entertainment includes live music with local musicians Ron Stilwell and Callista Salazar, and a raffle for items like baskets of preserves, pickles, and coupons to local businesses! This is a community potluck-please bring something yummy to share. A bonfire with s’mores will round out the evening. Come tour the farm, meet the board members and participating gardeners, play in the sand box, eat, and be merry! All funds raised will support Sustainable Renton and the Community Farm. Fri, Sept 27 – Meaningful Movies: Occupy Love. Location: Office. 7pm. We will be watching the film ‘Occupy Love’. This film follows the Occupy movement over a year’s period of time and shows the lasting effect this movement has had and continues to have on political and social life. This event is FREE but donations are greatly needed and appreciated. Fri, Sept 13 (TONIGHT!) 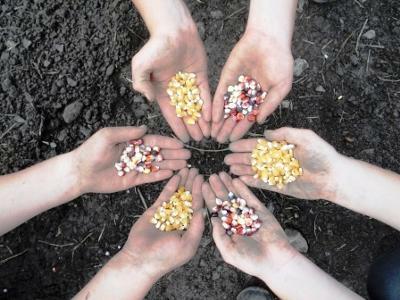 – Seed Saving Workshop w/ the Urban Food Warrior, Caitlin Moore. Location: Community Farm. 6pm. Have you ever wondered what this seed saving business is all about? Caitlin Moore, founder of the Olympia Seed Exchange, will teach some basic seed saving skills to get you started saving seed in your garden or farm. She will cover basic terminology, techniques, and some in-field how-to’s in this two hour workshop. There will be a $5 fee for this workshop. No one will be turned away for lack of funds. Thurs, Oct 3 – Soap Making Workshop w/Sustainable Renton Community Farm Manager, Lara Randolph. Location: Office. 7pm. We will make a vegetable base soap. Everyone will leave with a bar of soap to take home and enjoy. There is a $5 supplies fee paid at the time of event. No one will be turned away for lack of funds. Date TBD – Winter Gardening Workshop w/ Cascadia Edible Landscapes. Location: Community Farm. Wed, Oct 2 – Renton Food Co-op Steering Committee. 6:30: potluck; 7pm: meeting. Come and get involved in helping to plan and pursue bringing a locally owned and operated food co-op to Renton. Your energy and ideas are needed! Thurs, Oct 10 – Sustainable Renton Board. 7pm. Our monthly board meeting to oversee the operations, management, and happenings of Sustainable Renton. We are always open to new input, and have space available for additional board members if you are interested. Of course, you can follow us and our different projects over on Facebook. Click any of the following links to ‘like’ our various pages. Once every quarter Meaningful Movies of Renton, in addition to our monthly movie, is combining efforts with Meaningful Movies of Kirkland and Meaningful Movies of the Eastside, with help from Meaningful Movies of Wallingford, for a showing of what is turning out to be timely topics. On July 25th we held the first movie in this joint venture. 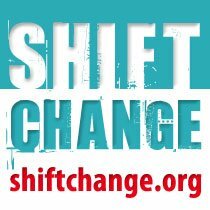 We watched the amazing 2012 film ‘Shift Change’. Filmmakers Mark Dworkin and Melissa Young were both available to field questions after the movie. What an intelligent and lively discussion it turned out to be. The focus of the film was on worker-owned cooperatives and the impact that they have within a community. Cooperatives are making a comeback since the obliteration of our economic structure through what most people view as cooperate greed. Cooperatives offer empowerment to the individual because everyone has one vote and therefore equal say in what decisions are made within the company. Cooperatives are an excellent example of what democracy ought to look like. Cooperatives also empower the community because the economic structure is such that job security is strengthened rather than threatened. Profit becomes secondary to the worker. Profit is important, for obviously there would be no company without it, but the profit is returned to the workers and the company, not into a CEO’s bank account. The difference between a worker-owned cooperative and a worker-owned company was made clear from the film. There are upwards of 14,000 worker owned businesses in the United States. WINCO comes to mind. These are different than worker owned cooperatives, of which there are only 400 in the U.S. A worker-owned business most likely continues to operate as other businesses do, from the top down. The example was given that if all the workers at Boeing collectively bought all the shares for The Boeing Company, then it would be worker-owned, but the management of the company would stay the same, which is a top down hierarchical structure. However, a worker-owned cooperative has a business model that implements a lateral structure. No one person has more power in the company than the other. Committees and Boards are voted in by a democratic process. Sustainable Renton is working very hard at starting the Renton Food Co-Op. The idea came up last night that perhaps this could be a worker’s cooperative as well as a consumer cooperative. This type of cooperative is what is known as a hybrid. There was some mention that Olympia Food Co-Op operates this way. It will definitely be brought up at our next Food Co-Op meeting, which is Tuesday, August 27th at our office space in the Renton Highlands. Potluck at 5:30, with a general meeting beginning at 6:00. If you are at all interested in seeing how a cooperative can change a community come and be a part of making local history. We need a lot of help and would appreciate any input. A little about Holy Cross Lutheran where the quarterly movies are being held. This congregation is dedicated to social justice through its efforts called ‘The Earthkeeping Ministry’. This ministry’s primary focus is on alleviating hunger and educating the community about food-How to grow it, preserve it and share it. They have an active educational component and have partnered with other local organizations to make their dream a reality, and what a beautiful dream it is. If you would like to find out more about The Earthkeeping Ministry at Holy Cross Lutheran you can find it here. If you have never been to Holy Cross Lutheran’s beautiful P-Patch they have located on their property, you definitely should take some time to check it out. .
Crossroads: Labor Pains of a New Worldview, is a documentary exploring the depths of the current human condition and the emergence of a worldview that is recreating our world from the inside out. Weaving together insights and findings from biology, psychology, network science, systems science, business, culture and media, the film reveals the inner workings of the human experience in the 21st century, urging viewers to step out of the box and challenge their own assumptions about who we really are, and why we do what we do. Crossroads places evolutionary context to today’s escalating social unrest, natural disasters, and economic failures. It illuminates the footsteps of an integrated worldview, penetrating its way through the power of social networks to the forefront of our personal and collective awareness. The next collaborative meaningful movies effort will be held on October 17th at Holy Cross Lutheran Church, in Factoria. We haven’t decided on the exact movie but we know that the topic will be GMO’s. This topic is timely due to the issue coming up on the November ballot. Mark your calendars, come and be a part of a group of people that want to make a positive change in our community. All animals need it to survive and thrive. Seems simple enough: Find food. Eat food. Survive. Thrive. Sure-you can eat just about anything and survive. Fast food, frozen processed TV dinners, energy drinks-you can certainly survive on all of them. But over time, it will take a toll on your body. The question is-what can you do to thrive? What choices can you make right here in Renton to do that? 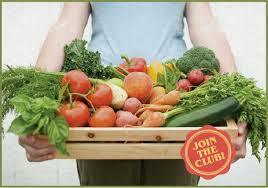 And-what can you do to not only nourish your body to thrive, but to help your community and planet thrive? These are all concerns and questions that a local group of community members are exploring together. And the channel we are using to explore these questions is the idea of a local grocery co-op. Currently using the name Renton Food Co-op (although Renton Grocery Co-op is gaining favor), this group is gathering on a regular basis to create a vision of a local, sustainable, member-owned and operated grocery cooperative. We are inspired by other successful grassroots co-op models that already exist in the region, such as Olympia Food Co-op, Tacoma Food Co-op, and the under construction Delridge Grocery. Why does Renton need a grocery co-op you ask? We already have a Grocery Outlet; Fred Meyer and Safeway have organic produce; Minkler’s has gluten-free products. 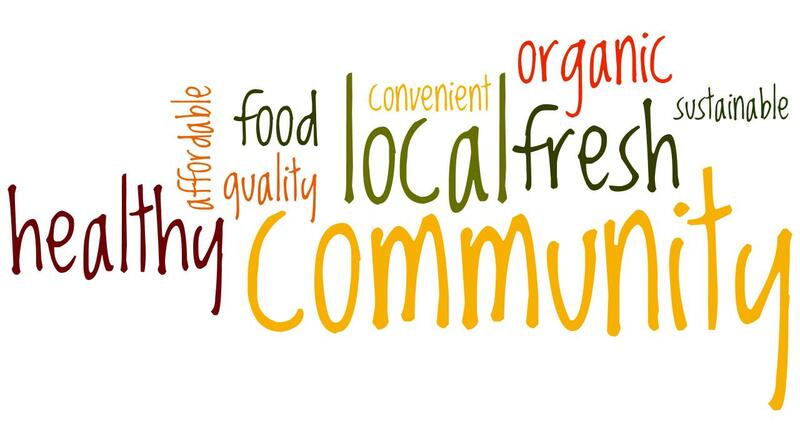 True-but a locally owned, member operated grocery co-op provides something unique and special that can’t necessarily be found in those other businesses: an opportunity to nourish our community, the environment, and all people. – and A space to build community connections and partnerships. Our steering committee meets every few weeks, and is growing. But we want to see this idea engage the wider community and thrive. We encourage any interested parties to get in contact with us. There are many ways to get involved-some very simple, and some that are more in-depth. We look forward to sharing more details about this project as it proceeds and develops in the near future. If you would like to find out more or get involved, please contact us via email at sustainablerenton@gmail.com or visit us on Facebook. May is shaping up to be another busy month for Sustainable Renton. Please read below to find out more about the different meetings and activities happening throughout the month. Unless otherwise specified, all meetings happen at our offices at 970 Harrington Ave NE in Renton. There are so many great things happening-we’d love to make a space for you to come and get involved. May 4 – Sustainable Renton Community Farm: Work Party; 10am-4pm. Location: 11840 148th Ave. S.E., Renton, Washington 98059. You can RSVP at the Facebook event page. May 9 – Renton Food Co-op: Visioning Meeting; 7pm. You can RSVP at the Facebook event page. May 16 – Sustainable Renton Board Meeting; 7pm. May 31 – Meaningful Movies: Manufactured Landscapes; 7pm. You can RSVP at the Facebook event page. MANUFACTURED LANDSCAPES is the striking new documentary on the world and work of renowned artist Edward Burtynsky. The film follows him through China, as he shoots the evidence and effects of that country’s massive industrial revolution. 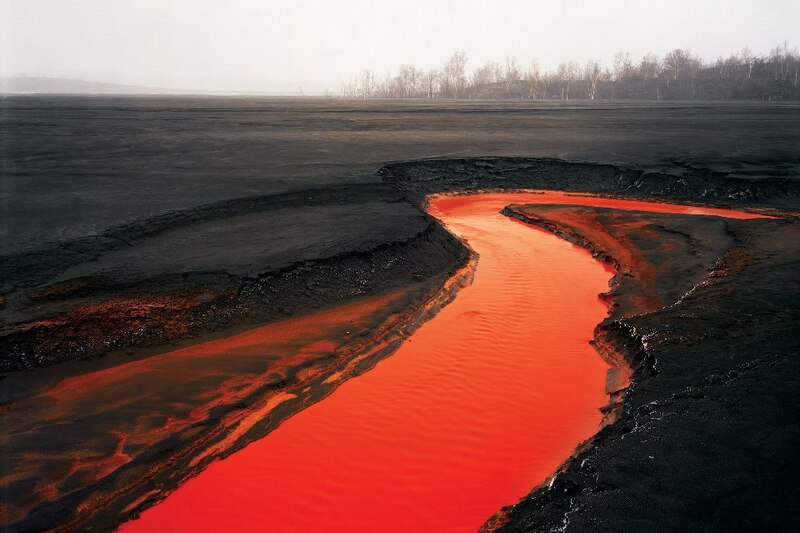 With breathtaking sequences, such as the opening tracking shot through an almost endless factory, the filmmakers also extend the narratives of Burtynsky’s photographs, allowing us to meditate on our impact on the planet and witness both the epicenters of industrial endeavor and the dumping grounds of its waste. This is a FREE event with a suggested donation of $5. Refreshments provided.